Yeah, it’s kinda like that. Although I may not be as crazy as Gollum, I am a fanatic when it comes to the Olympus OM system. What I’ve acquired thus far are the prime lenses I use all the time. 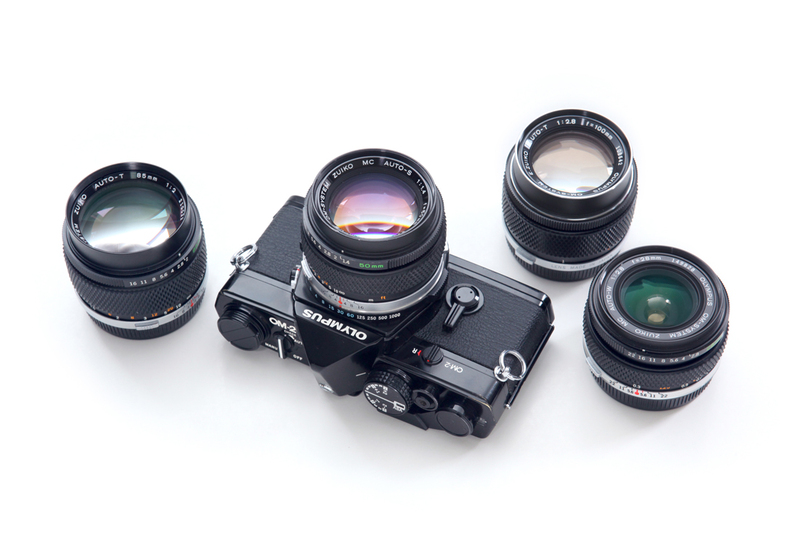 A 28mm, a 50mm, a 100mm and the exquisite Zuiko 85mm f/2.0. My all time favorite is the Zuiko 50mm 1.4 because of its diminutive size, its sharpness, and it’s perfect for me on walks. And to my precious black OM-2, which I carry with me almost everyday in a Shootsac and two or three lenses. Yet it’s light as a feather. Try doing that with a Canon 5DII (been there, done that). So there you go, that’s what’s in the bag along with rolls of Fuji or Kodak. OM-1n but found the OM-2 was just as good if not a little better not because of features (it operates almost the same) but because they’re generally in better condition. Finding lenses proved to be a bit of a waiting game, of course to get the better deals, but also to find the more pristine examples available. I’m not one to hold out for mint but I do like a good looking system. If I did buy minty, I’d might as well not use them and put them behind a glass case. What good is that? I don’t mind a little brassing here and there. In fact, my OM-2 has some leatherette pealing–I’ve come to realize as long as the mechanics work then I’m fine with that. 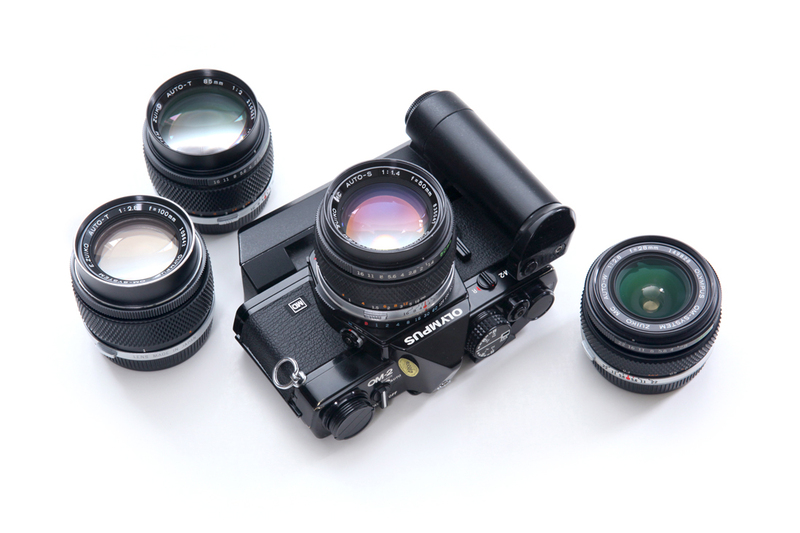 There are a number of other models out there, why the Olympus OM system? First its size is a factor. I want to be able to carry a few other things besides the camera like a light meter or some lenses without being bogged down. There are others like the Pentax MX or LX but the OM-2 has some advantages I most prefer. Like its ease of use. The shutter and aperture settings are all located in front of the camera and on the lens respectively and the analog style metering system which uses a needle in the viewfinder to tell you that your exposure is correct is intuitive. As long as the needle is level, I can get perfect exposure. The lenses are small, sharp, and are not too expensive. The click of the shutter is a pleasure to hear. It’s quiet and well dampened. Finally, there is nothing to keep you from using your OM-2, no switches to prevent accidental firing of the shutter, no lock to open the back to load film. Nothing. I think that’s an advantage and it makes things simple and maybe that’s why it’s light. I mean, I can literally teach anyone how to use it. So, for those who are wondering: Where do I take my film for processing? I like simple and if simple means taking it to my local 1 hour photo (insert missed golf putt sound effects here). Whoa! hold on. I get pretty good results, not perfect, but good enough. I also have the lab scan the images on CD so I can post some on this blog. I’ve totally given up on looking for any point and shoot cameras knowing that a full frame 35mm camera can do a better job. The creativity is limitless for a lot less than a digital (not even full frame) prosumer camera. It’s a joy to hold even without a strap because it’s so light. I laugh when I see someone hauling a DSLR with a grip and a zoom. Been there, done that. Contax 645 with Carl Zeiss Planar T* 80mm f/2.0 and 140mm Sonnar T* f/2.8, Fuji 400H Pro 120.